A Wick resident has spoken out after an alleged spate of car smashings in her road. The 28-year-old from Madehurst Way, Wick, who did not wish to be named, said the passenger window of her car was smashed on New Year's Day. On Saturday, January 12, five or six other cars were similarly damaged down her road, she claimed. She believed that vandals were targeting her road and Highdown Drive, which connects to her road. She said she felt 'total shock' when her neighbour knocked on her door at 8am on January 1 to tell her what happened. While the window had been smashed, the Christmas present on the passenger seat and her bag on the back seat had not been stolen, she said. "I was so angry. They don't think of the consequences or the impact on families," she said of the culprit. When she reported the incident to the police, she was told over the phone they would be closing the case because of a lack of evidence, which she described as 'frustrating'. A Sussex Police spokesman said it had received reports of criminal damage on New Year's Day, but there were 'no further lines of enquiry'. 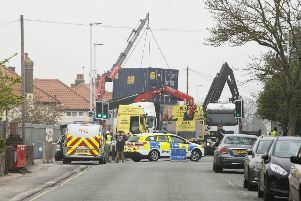 Police were not linking it to other incidents, a spokesman said. This comes as Arun Police stepped up foot patrols in Littlehampton, according to a tweet on Wednesday. Members of the public have been urged to report all incidents to the police so they can build a bigger picture of crimes in an area and respond with an increased police presence there. Click here to find out more about how Sussex Police is dealing with anti-social behaviour.